Gussie Fink-Nottle can't quite find the pluck to ask the girl of his dreams to marry him. He consults Jeeves of course. But Bertie, feeling his lemon just as supple as his manservant's, steps in and takes over the case. What follows is a torrent of hilarious hi-jinks, as only P.G. Wodehouse can deliver. My absolute FAVORITE novel ever! From Ammon of Columbus, Ohio on 5/16/2012 . This just happened to be the novel in the podcast feed when I found the Classic Tales Podcast. I listened to it in awe at such a wonderful and hilarious story. BJ brought the characters to life. Especially Wooster. It was this experience that turned me onto classic literature. Thank goodness! I have since purchased many audiobooks from the Classic Tales and have learned something from each. From Beverly Jean of Venice, California on 10/5/2011 . 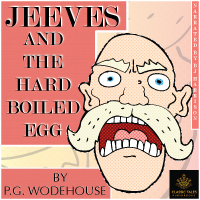 I'm a "Jeeves" fan and really enjoyed the presentation of this "tale" as presented by B.J. Harrison. It is great to "hear" the story that you've previously only "read". Better than a movie because it still allows your imagination to paint the "pictures/scenes" as they are presented. 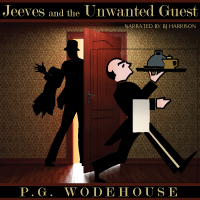 AND really wish there were MORE "Jeeves" stories. And love B.J. 's voice for characters.